(*Available for viewing off-site) A one of a kind case, painted by Stu Dead at his studio. This Knight piano was restored in our workshop before Stu executed his vision. 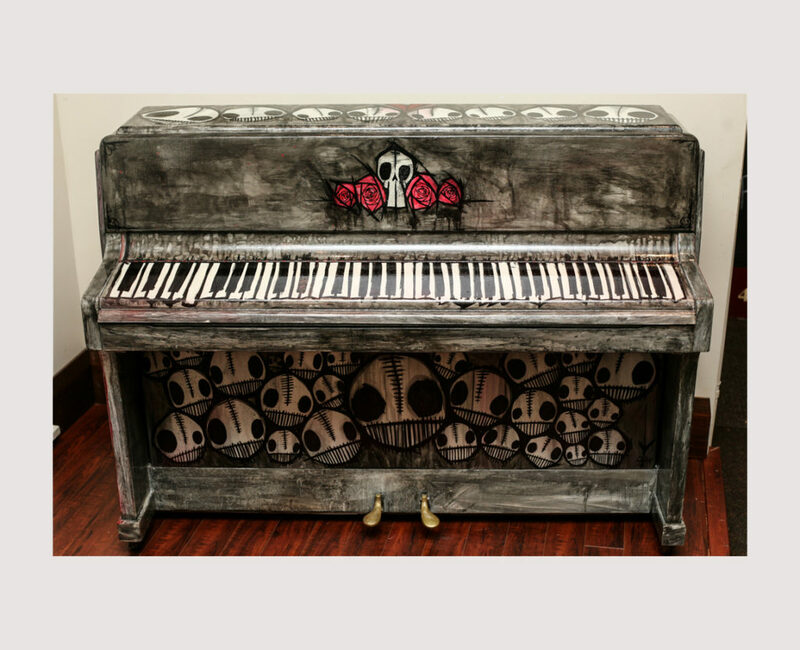 To see more of Stu's work, check him out at www.playdeadcult.com Piano comes with 5 year comprehensive warranty Delivery to first floor of home in GTA First in home tuning after delivery Matching Bench This piano is currently being displayed at the artist's own storefront: The Playdead Cult Boutique & Gallery at 1696 Queen Street West, just East of Roncesvalles.